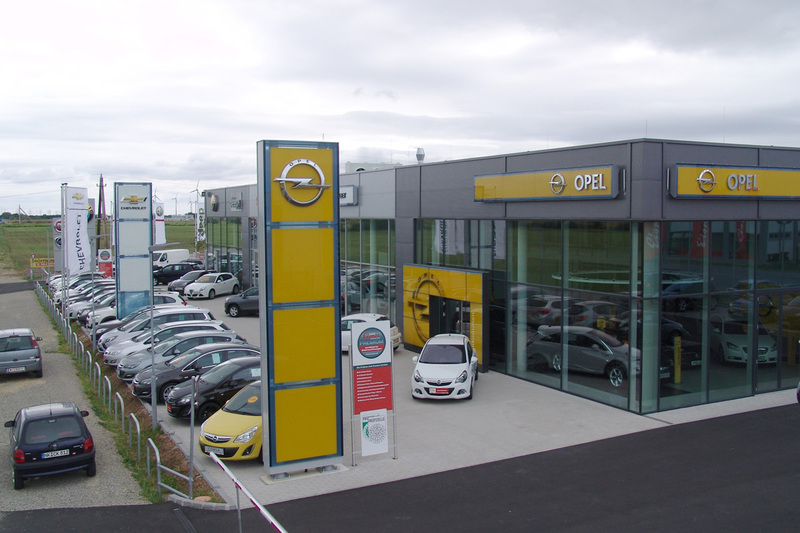 This project grew out of our construction consultancy for Opel in Austria. After building approval had been obtained, construction started in the autumn of 2012. 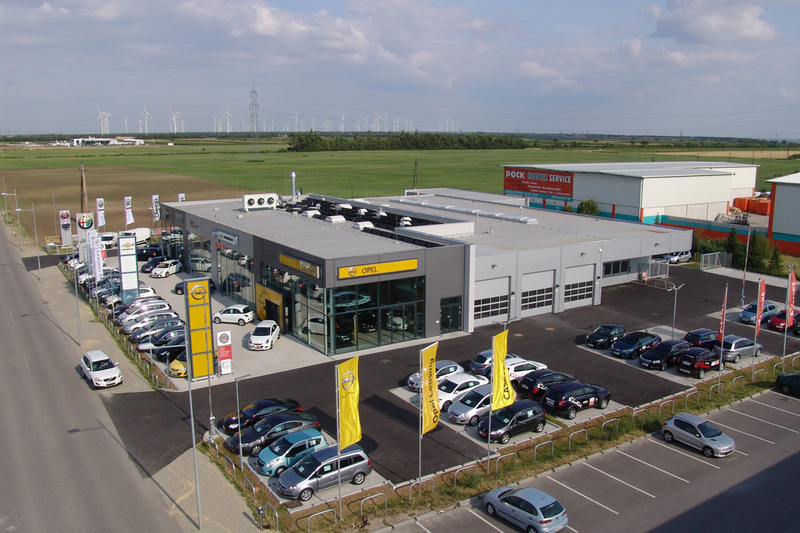 This was made possible by the developer’s decisiveness as well as the positive collaboration of all those involved in the project, in particular project management office Köstinger, building engineering planning Wunderer and general contractors STRABAG. 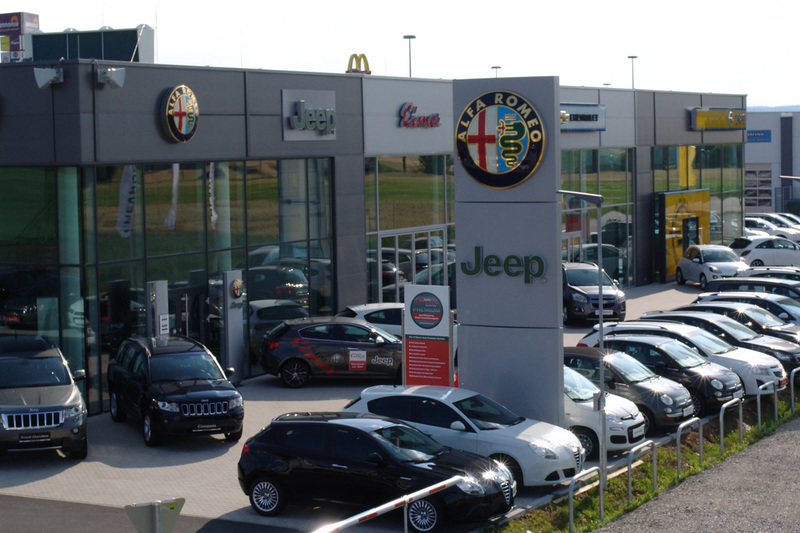 Underfloor heating supplies all rooms in the dealership with consistent heat with the best possible use of energy. A photovoltaic system also produces electricity for in-house use above the two-storey office area, and at the same time protects the rooms below from radiant heat in summer. An air source heat pump guarantees comfort in these offices. Wastewater treatment from the car wash and the use of LED lamps represent further advantages as far as sustainability is concerned. 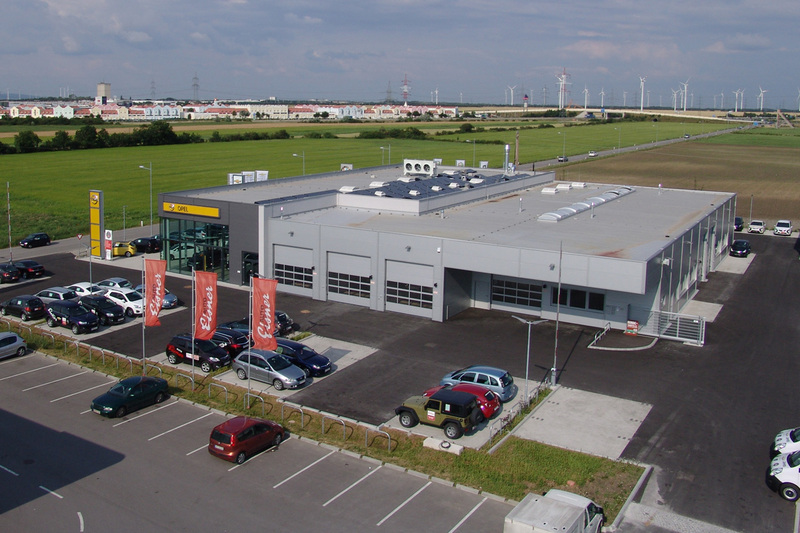 The Eisner car dealership in Neusiedl is one of the first car dealers in Austria to be built in accordance with Opel’s new design guidelines.